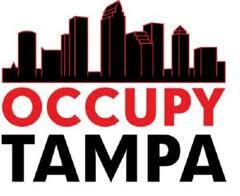 USF and Occupy Tampa is holding a Foreclosure Teach-In this Saturday March 10, 2012 1:30-4:30. There is no charge and you can also attend via the Internet live feed. Senior Staff Attorney from Jacksonville Area Legal Aid April Charney will be speaking. April has been traveling around the State of Florida for the past several years educating attorneys on the nuances of foreclosure defense. I have personally attended two of her all day seminars and she is a very spirited and knowledgeable fighter of foreclosures! It was time well spent. Do not miss this opportunity. This seminar is designed to help participants become familiar with the foreclosure process and what they can do when faced with foreclosure. If your schedule does not permit you to attend, the seminar will be archived on the site as well.